You are here: Home / Christian Talk / Pulpit Money Changers and Con-Artists Still Around in 2019. Pulpit Money Changers and Con-Artists Still Around in 2019. (ThyBlackMan.com) Jesse Duplantis, fake Evangelist and Bible con man, says God told him to believe for a new jet that just happens to cost $54 million. And get who he expects to pay for it? The unsuspecting, gullible followers of his false doctrine. But Jesse is only one of the fake money changers and con-artists who repeatedly twist the scriptures to further their own agenda. Creflo Dollar, T.D. Jakes, Oral Roberts, Fred Price, Paula White and Kenneth Copeland are leading the way down the path of mammon, the love of money and the sliding board that will make people twice the sons of Hell as they were before. Before some of you open your mouth in shock that I said T.D. Jakes, let me say this briefly. Who the Son sets free is free indeed (John 8:31-36) – not who Jakes sets free with his conferences, books and tapes that appear to “loose” you. That is why many of you keep coming back to these fakes to get free – because they offer a false dependent freedom on them and they never freed you in the first place. The truth being in you via He who is the truth is what will set you free. And if you think you have to wait until these conferences and camp meetings come to town in order to be free, you do not overstand the Gospel and what it does for the “believer” at all. Yet thousands upon thousands of gullible people pile into JT.D. Jakes conferences, buy his books and tapes in order to find out how to get free. Wake up. The Bible sufficiently covers how you are to be and stay free and Jakes writing a book only markets a Gospel for sale that he does not own. He changes your money to his and that is why I call him a “money-changer”. Just Pray For Them? Really? It’s not that simple. While the Bible does say pray for all men, that is not all that it says. It has special scriptures for those who deceive people, add to the Word of God, take away from it or lead people straight to Hell with materialism. 17 Now I beseech you, brethren, mark them which cause divisions and offences contrary to the doctrine which ye have learned; and avoid them. 18 For they that are such serve not our Lord Jesus Christ, but their own belly; and by good words and fair speeches deceive the hearts of the simple. 8 But though we, or an angel from heaven, preach any other gospel unto you than that which we have preached unto you, let him be accursed. 9 As we said before, so say I now again, if any man preach any other gospel unto you than that ye have received, let him be accursed. Why do the money changers keep getting away with the con? Because people are gullible. Because people are easily influenced when you dangle materialism in their faces. Because people are unlearned. The Bible says in II Timothy 2:15 that we are to study to shew ourselves approved so we can rightly divide the Word of truth, but many people don’t and won’t do that. It may be easier to just listen to the pulpit then read a verse at night and in the morning than to actually study. But that also means it is easier for you to be deceived. And those false ministers who bring a fake gospel are skillful in manipulating scripture while making it sound good and feeding hearts filled with mammon – or even those with legitimate need. Stop judging? Wrong again. Exposing a fake based on the judgment of God is not a personal judgment – it is a personal responsibility. The money changers keeping getting a free pass because too many people believe confronting their lies is judging them. But it is God’s judgment, not man’s judgment that reigns – and that’s OK. Here is my challenge. My challenge is simply this. I dare any person, pastor, evangelist etc., who thinks my claims are wrong, to email me at brainstormonline@yahoo.com. I will call you and I challenge you to look at the scriptures (in context) with me. I say to you now for the record and in front of God, Jesse Duplantis, Creflo Dollar, T.D. Jakes, Paula White, Oral Roberts, Fred Price and Kenneth Copeland and liars who twist the Word of God to advance their own agenda. They preach “another gospel”. Further that they neither represent the teachings, the character nor the church the Messiah founded and ushered in with His own blood. And no I am not saying we should walk around poor and destitute. For those of you who are Muslim, Catholic, Mormons, Hebrew Israelite, Jehovah’s Witness and even denominational Baptist, Methodist, Presbyterian, Lutheran, Satanists, Atheists and Agnostics – those are other discussions but I will not run from those either. Maybe you think they are just making a few errors here and there and nobody is perfect. Wrong. Slap yourself, wake up and stop making excuses for the foundationally flawed teachings of these con artists. If you don’t know their teachings are lies, its only because you are not studying like you should or your agenda is as corrupt as theirs. They all teach much of the same deception and they know exactly what they are doing – but not the God they are messing with. As for the money changers bringing “another gospel” (II Cor. 11:4, Gal. 1:8-9), you are never likely to hear them quote 1 John 2:27 because it confirms that you have a direct line to the Messiah and thus to the Creator – without going through the money-changers. If you don’t go through them, they lose control over you and both your allegiance and money they need to push “their” ministries and “their” agendas. But the anointing which ye have received of him abideth in you, and ye need not that any man teach you: but as the same anointing teacheth you of all things, and is truth, and is no lie, and even as it hath taught you, ye shall abide in him. To counter this scripture, they will ask you how can you hear with a preacher – and the Bible does say that. But that is a question, not a statement. So let’s answer the question. You can hear by studying the Bible. You can hear via the Holy Spirit. You can hear as God uses dreams and visions and human vessels to communicate with you – not just “preachers”. Do you know how many people sit there every Sunday or turn on the TV or send in money and buy the messages of these con-artists who make snake oil salesmen look like good men? Meanwhile many of you can’t get help from them when you need it. And if you can, it’s given to you as a loan. Meanwhile they drive Rolls Royces, fly in jets and live lavish lifestyles contrary to the character and nature of the Messiah. Wake up people. Don’t let people tickle you ears and dangle riches in your face only so they can use, manipulate and deceive you. So here we are. You may agree with much of the doctrine taught by these fakes, frauds and con artists, but that means you may need to examine your own heart. That also means you need to study the scriptures for yourself and stop depending on man (especially these men) to think for you. And no you can’t pick and choose the good parts while throwing out the bad. That does not work when the foundational teachings of these people are twisted, flawed and deceptive. What do you do if you are a member of one of these “ministries”? Pray for them as God says. Expose them as God says. Mark them as God says. Leave. Stop contributing to their agendas. Wake up. Spread the truth. Pull your wives, husbands, children and family members out of these houses and meetings of deceptions. They are making fools of you. They are the wolves in sheep’s clothing. 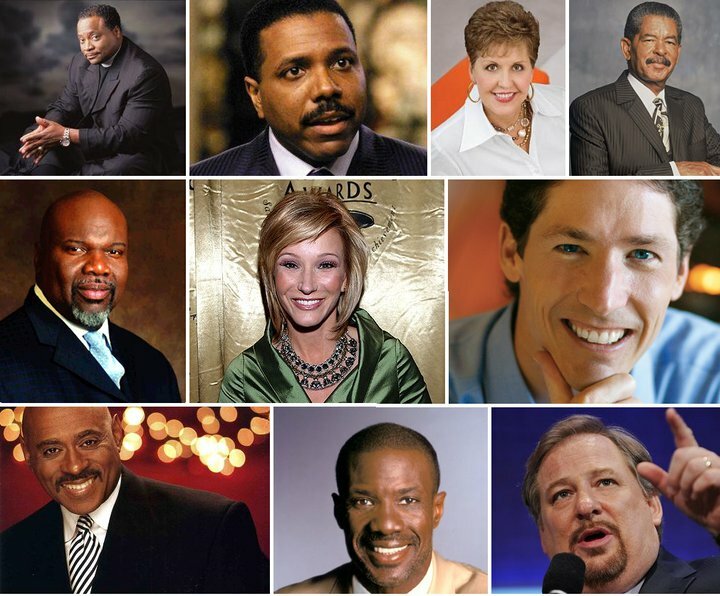 These fakes, frauds and con artists (Bishop Dale Bronner included) can easily be spotted if you know the foundational teachings of scripture regarding how to try a spirit (1 John 4:1), the true fruits of the Spirit (Gal. 5:22), the mind, character and examples of the Messiah. And even if you don’t, a strong relationship with God via the Holy Spirit instead of man’s religion will bring about the clarity as well. The problem is that too many of you don’t have a clue to the details of what I just said. You only have the understanding given to you by the frauds who appear to have a form of godliness. They say Lord, Lord but yet you see their faces and names on everything because they are promoting themselves and their agendas. And as for Dale Bronner, same thing. On one hand he says “Jesus” but on the other he promotes himself and hair shows where men dress like women. Shows that are of the world. He should read 1 John 2:15-17. And while people have always quoted “the devil comes to steal, kill and destroy” as referenced in John 10:10, read the entire chapter. You will find the “thief” who comes to steal, kill and destroy is the false minister and the “wolf” is actually the devil. When the wolf comes, the thief (false minister) desserts the sheep because he never had any truth allegiance to the cause of the Kingdom anyway. Wake up people, wake up. I speak the Word of God (in context). I relay His judgments, not my own. And if you have a problem with that, you have a problem with Him – not with me. Recently I had 2 men who are brothers email me about this article as stated people could. As I said i would, I called both of them back. They both had many questions but I found them using those questions to camouflage confrontation – the very vain and unproductive disputations the Bible tells us to avoid. The second brother in particular jumped around from point to point, scripture to scripture to scripture with absolutely neither continuity nor consistency. He would not even agree to what the scripture said after reading it out of his own Bible. He wanted to accuse me of interpreting when I did no such thing. I asked him to read the scriptures from his Bible and even then, he would not admit what it said. People like that are more into believing whatever they want to believe instead of what the Bible says. I shared solid study guidelines with both of the brothers. But I found both to be argumentative, unlearned and unpolished in understanding scripture. They wanted to use our discussion time to address issues until we found points of disagreement. Then they became argumentative. I spoke with the first brother for 2 hours (or more). But I will not waste my time with unlearned and combative people playing games and who do not offer productive discussion. Disagreement is OK and the Bible says come let us reason together. But hidden and confrontational agendas just for the sake of hearing yourself talk are ungodly, unnecessary and unfruitful. I blocked both of them and will report them to the authorities if they contact me again. I have no problem addressing any issue with and in scripture but I am not going to waste my time with people who cannot hear or choose not to hear. So if any of you want to email me, we can talk – even if we do not agree. But respect and admission of what the scriptures say need to be foundational or I will not waste my time. It is amazing how some of you will disagree with direct scripture used in context simply because you assume I am judging. You fail to realize that the “don’t judge” argument has been used as a weapon very often to silence legitimate objections and ostracize those who are exposing fake pulpit pimps. I often find those who so strongly disagree with the scriptures (such as those quoted in this article) are less skilled in their studying and understanding of God’s word and more influenced and biased in favor of who they like, who tells them what they want to hear, think they need to hear or what they think is coming from God. In the lives of these deceived people that warm feeling has replaced the quickening, conviction and chastening by the Holy Spirit. But doctrine that compromises the truth in order to comfort you, manipulate your understanding and remove money out of your pockets for some pastor’s personal agenda is not of God – not at all. You may not want to hear this but it is true just the same. Some of you object to this article but test your own spirit to see if your bias is based on the Word of God or simply based on you liking the fake minister. Maybe your bias is even based on the idea that we should not judge. If so, you need to read the article again and then look hard at 1 john 4:1 – the believer’s responsibility. not just to pray for people. Wake up. So don’t come at me with insults and opinions when you cannot refute the truth of scripture shown as evidence in this article. Where are your scriptures to say this article is inaccurate? Absent? Exactly. I say what the Bible says and if you don’t like it, take it up with God. but you will find every verse I quote used accurately and in the proper full context. Finally just because you cannot tell that these people are fake and many follow them, the Bible says many will follow their pernicious ways. And I have met and spoken with several of these fakes personally. They do not know scripture nearly as well as you think they do. They just know scripture better than you and enough to thus fool you almost totally just like Trump fools his supporters. Anyone can proclaim a “Truth”. A title before or after a name is not necessary to proclaim a “Truth”. We are all witnesses to that which is, was, and yet to come. But, What exactly is “Truth”? How do we arrive at that which is true? What part does “Truth” play in ones faith? Is all of what we believe rooted in “Truth”. Can “Truth” be found apart from the facts? Keep in mind that facts being the most crucial, over powering, and sometime damning evidence of proof that has the capacity to seal ones faith beyond a reasonable doubt? So, what chances do truth have standing alone? Truth now knowing the facts in bodies himself with the facts and aligning himself up with the facts and starts to make a change. Life doesn’t get any more better than a personal experience. That which I personally see, hear, read, experience and confess having known the truth laced in facts. If we need no preacher, which is in the word, then you are speaking heresy. And if that statement you stand by then we don’t need you. Preaching is proclaiming a truth. Like what you claim to do. Shut your column up and trust the holy Spirit to guide us like you suggest. Put your money where your mouth is. .,,,or don’t you believe it? Besides Jesus said you should listen to hypocrites. Go learn what that means and why he said it.